Today we are starting the second group of the Blogging Marathon Edition #10. I decided to do the Lunch Box series, basically it’s more like what one makes for a typical meal or pack for office. Since I pack and carry my lunch, I decided to share my everyday box for this week. These may not always be a full three course meal, I warn ahead. I get frequent emails asking to share my Menu planning or my lunch box menu. I have stopped publishing my menu sheet sometime back, basically because I wasn’t making anything new. Somehow things fall in place with the few restrictions I have in my usage of ingredient. Still we have managed quite well. It should become easy now, that we have a fixed day for buying the vegetables. We do it every Sunday morning and I pretty much plan what I am going to make through the week, both for lunch and dinner. Though seeing the pattern I may not have been that adventurous. 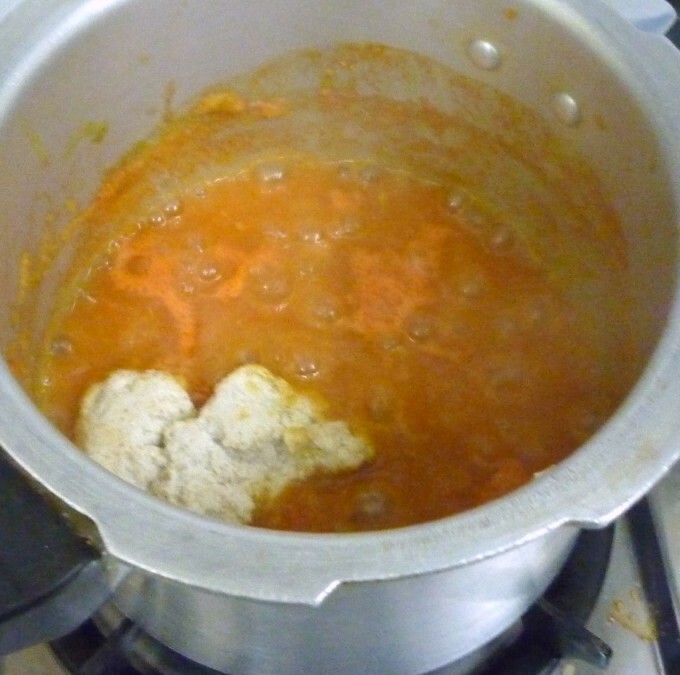 I am planning to change that and decided to try at least couple of new recipes every week. My recipe collection is brimming out with so many new ideas to try. 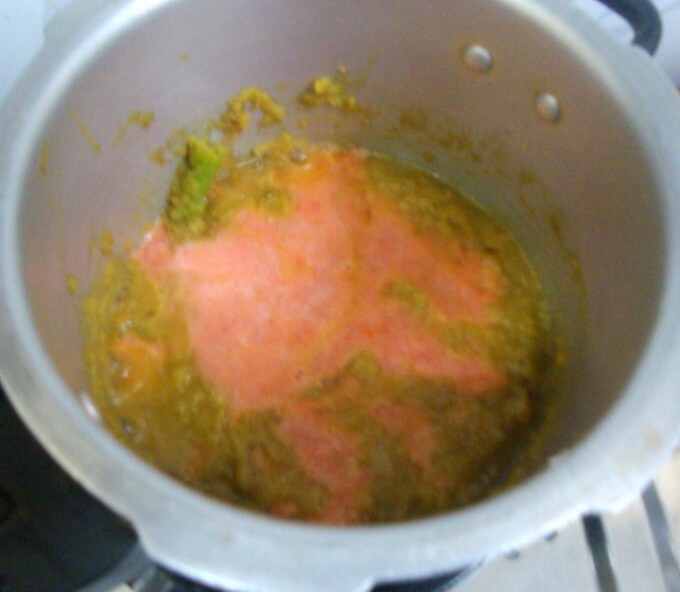 Anyway coming to today’s post, today’s recipe was something that I made as I went on. It was loosely based on the way the kurmas are normally prepared in hotels. 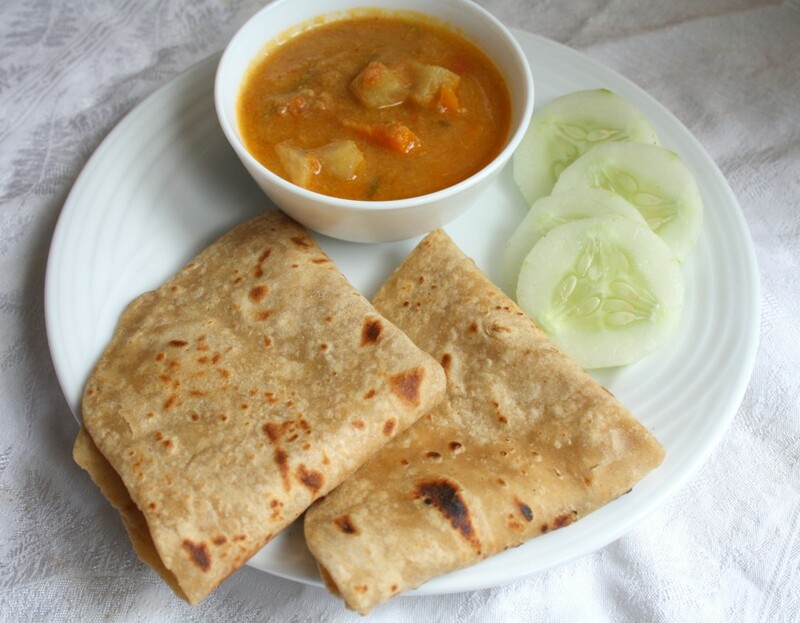 The kurma was lip smacking with Rotis, I am sure it would taste great with Naans. Roughly chop the onions, garlic, ginger, green chilies. Grind this along with cumin seeds, fennel seeds using little water to make a smooth paste. Trim and chop the vegetables, keep aside. 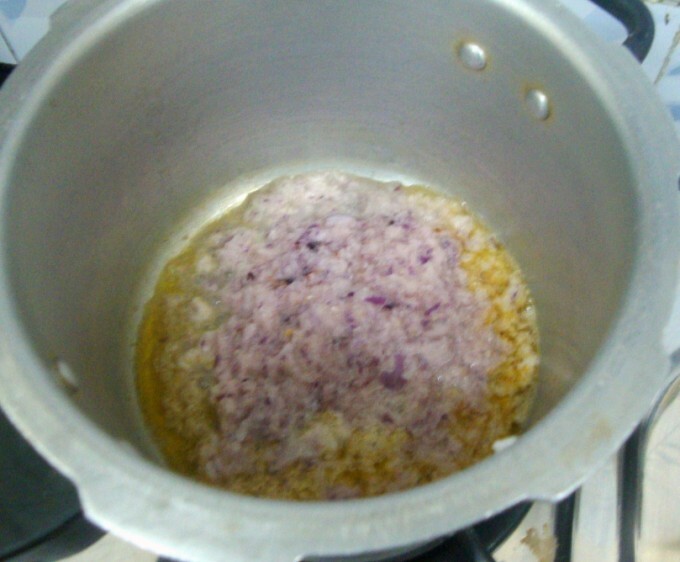 Heat a pressure cooker with oil, add the onion paste and sauté the paste till it’s done. Cover with lid, saute for couple of minutes, when the oil starts coming out and the onion paste is well cooked, add the tomato puree. mix everything well. 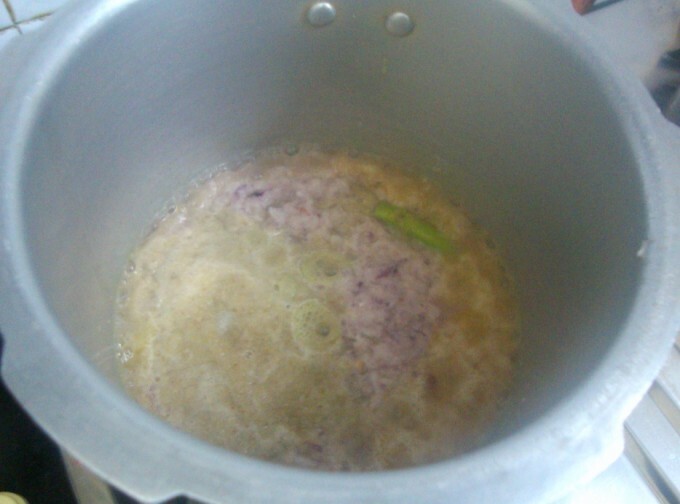 lastly add coconut paste, salt and turmeric. 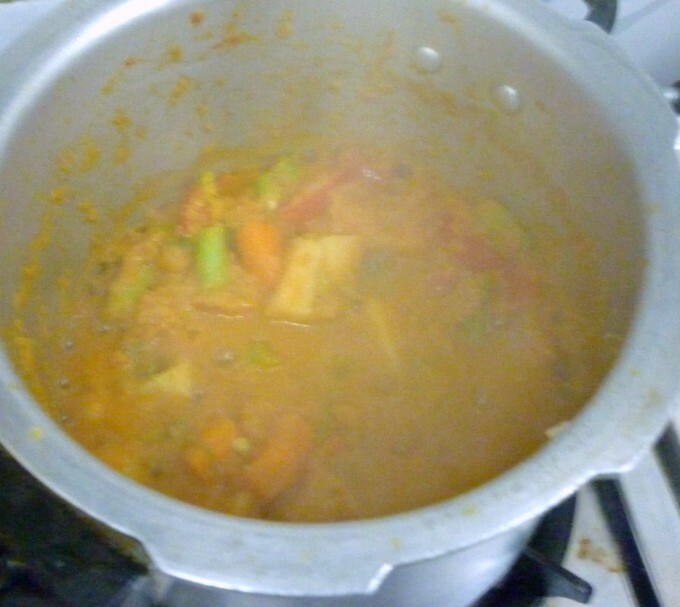 Mix everything well, cook for 2 mins, then add the chopped vegetables, cover with lid and continue cooking for a while. Next add the coriander powder, coriander leaves, tomato pieces. 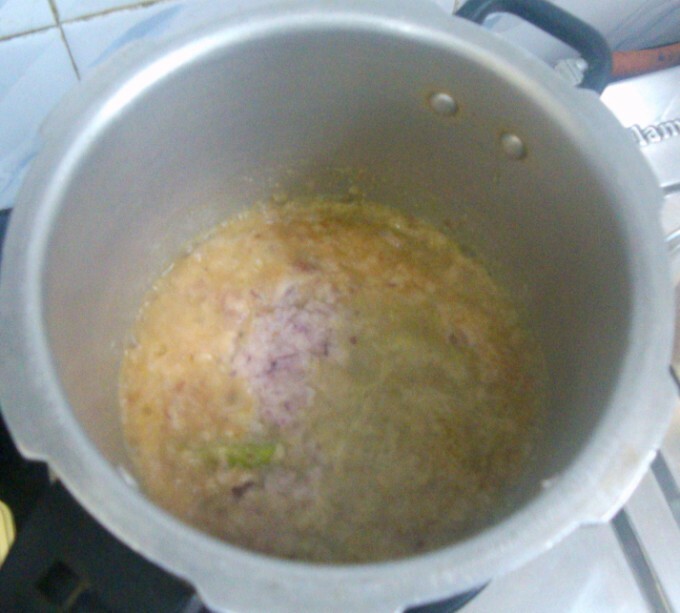 Cook for 5 mins, then add 1 cup or little more, depending on the gravy thickness. 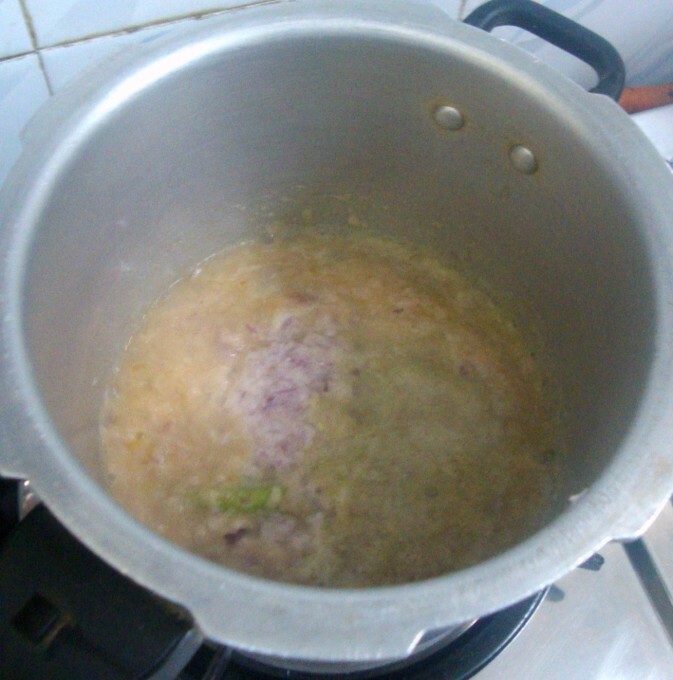 Cover the pressure cooker with lid and cook for couple of whistles, for the vegetables to be done. Enjoy with Rotis and salad. 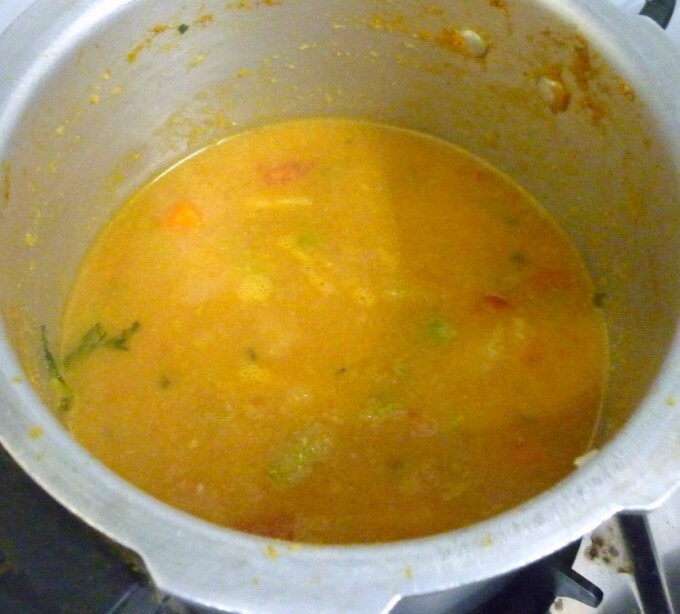 Very very yummy kurma…the fact that it has been done in a pressure makes it more appealing to me, cos we can really reduce the amount of oil. 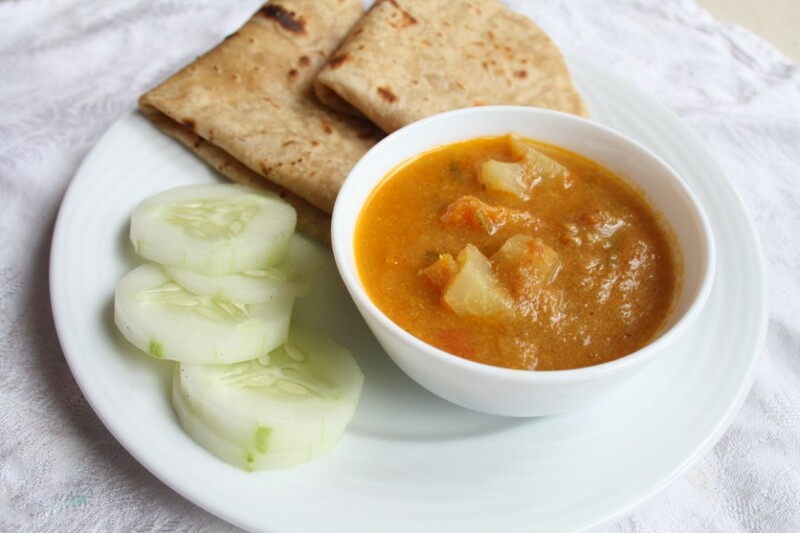 Delicious Kurma…nice gravy and so healthy..just right for a quick dinner idea. 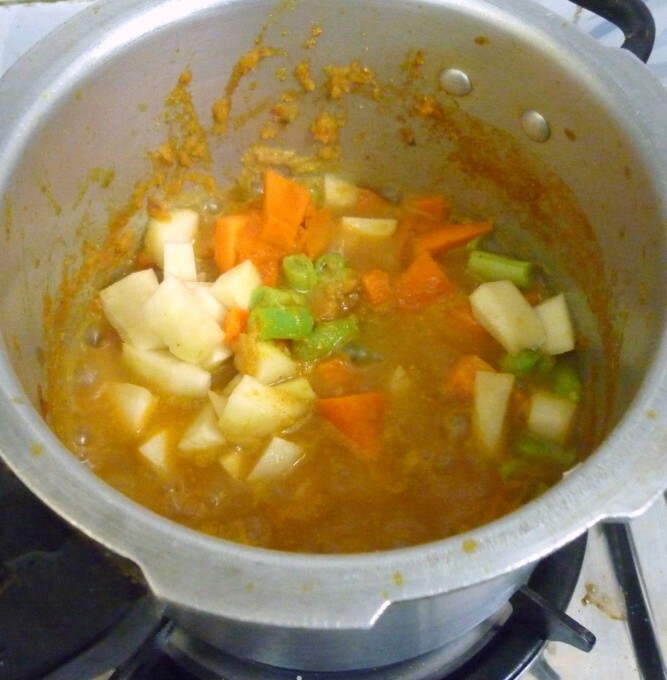 well I have only read abt Kurmas,but personally never tried making…a diff name in North… we call it a mix veg curry..the only diff is of coconut..may b I can add this next time to get the authentic South flavor. Very lovely kurma. Healthy also.. I make this similarly too .. perfect with rotis. 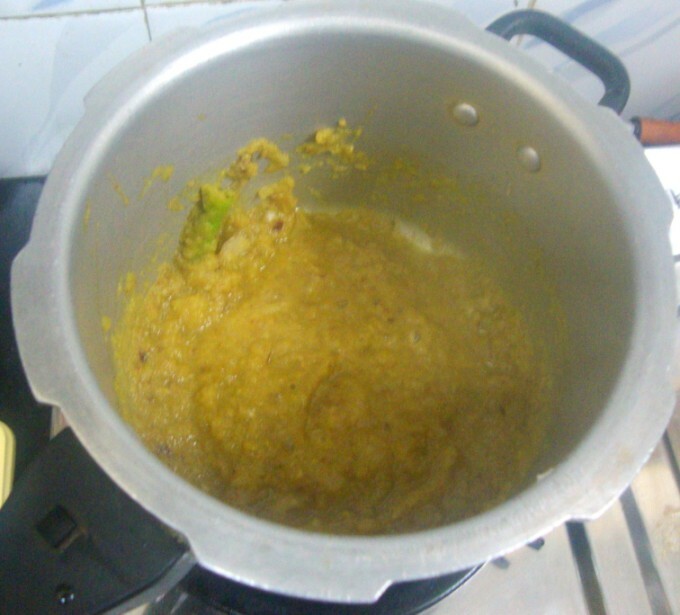 Super delicious kurma, inviting kurma for the sure..
Looks so delicious and we do make it almost the same way. lipsmacking .. goes well with Rotis and naans ! 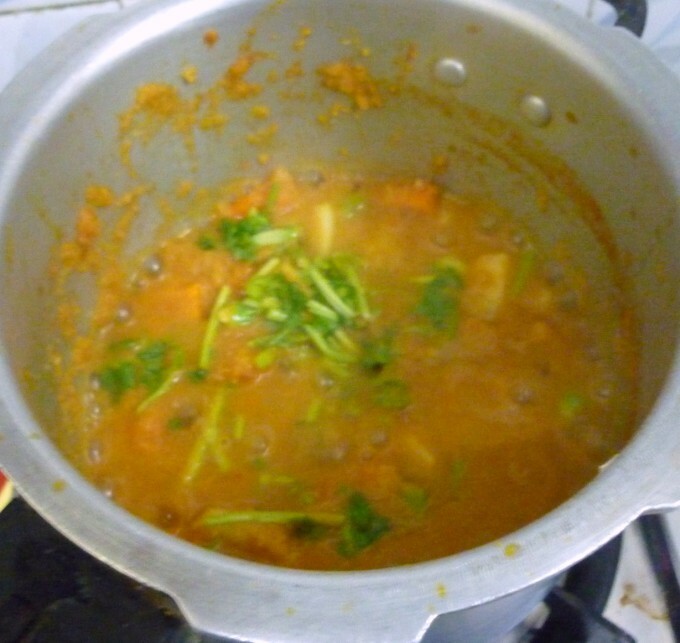 Delicious kurma Valli.. Making my mouth water as I type and its not even lunch time yet. Not only for roti, this will go well with dosai and idli. Looking awesome with all the goodness of vegetables!